Our friend Rachel Bovard, writing for American Greatness, has updated us on the progress of the Republican establishment’s pre-election amnesty plans and for conservatives whose baseline is “no amnesty” it looks like a very intense battle is brewing. Proponents of the discharge petition—nearly all House Democrats and more than 20 House Republicans—remain confident they will have the requisite number of signers to force the votes they want. Speaker Ryan, however, is still scrambling to come up with a compromise legislative solution that avoids losing control of the floor to the discharge process. 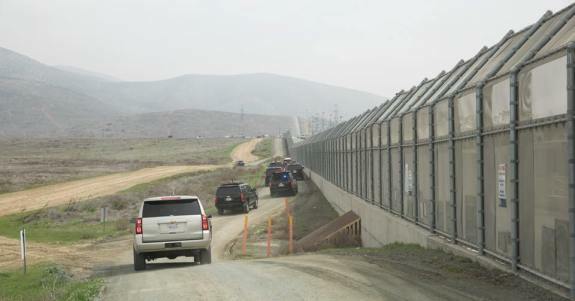 Setting the complicated procedural matters aside, either outcome is bad news for those who prioritize national sovereignty and border security. Members either will have to vote on the discharge petition’s series of amnesty bills or, absent that, Ryan’s consensus proposal, which is likely to be amnesty-lite with negligible border security. As we, and Ms. Bovard, have reported in the past, since taking down the farm bill over the immigration issue last month, members of the House Freedom Caucus and other border-security conscious Republicans have been negotiating for legislation that includes work permits for the 700,000 recipients of the Deferred Action for Childhood Arrivals (DACA) program, in exchange for significant border security measures, funding authorization for President Trump’s border wall, an end to extended-family chain migration, and elimination of the diversity visa program which has allowed terrorists into the country. These are President Trump’s “four pillars” of immigration reform and are most closely found in the so-called Goodlatte Bill, sponsored by House Judiciary Committee Chairman Bob Goodlatte. Conservatives, and Chairman Goodlatte, have been promised a vote on the bill by Speaker Ryan, but somehow the vote always gets postponed or unacceptable changes are demanded before the bill will be allowed to come to the floor, hence Ryan’s present dilemma and opportunity. It has always been our view that Ryan was never going to let an immigration bill that he did not write come to the Floor, and any immigration bill he writes is going to reflect his desire to amnesty as many illegal aliens as possible and keep the borders open to as many wage-depressing legal aliens as possible, all the better to satisfy his paymasters at the U.S. Chamber of Commerce and Business Roundtable. The Wisconsin Republican [Ryan] made a joint appearance on Monday with Democratic Rep. Luis Gutiérrez in the latter's home city of Chicago, where he embraced comprehensive immigration reform. Rather than use the Boston attacks to call for delaying the issue, he said they should serve as a wake-up call to get a bill passed. "We have a broken immigration system and, if anything, what we see in Boston is that we have to fix and modernize our immigration system for lots of reasons," Ryan said, according to Politico. "National security reasons, economic security reasons. For all those reasons we need to fix our broken immigration system…"
While Ryan's activity might seem out of step with his usual focus on budgetary issues, it's not new, according to Gutiérrez. The Illinois Democrat said that 10 years ago, Ryan played a role in a previous effort to draft an immigration bill in the House... During his whirlwind tour of Chicago, Ryan spoke about the economic benefits that immigration reform could bring to the U.S. This is the same Luis Gutierrez who back in 2009 introduced the “Comprehensive Immigration Reform for America's Security and Prosperity Act” to grant amnesty to illegal aliens and who once wrote an op-ed in the liberal Huffington Post to complain that Obama’s immigration enforcement policies were too strict. When Paul Ryan’s 2016 primary opponent made the Speaker’s support for expanding immigration and amnesty for illegal aliens issues in the campaign Ryan blanketed the district with mailers touting his opposition to both – a claim that was demonstrably false given Ryan’s record and his statements during his lovefest with illegal alien advocate Illinois Congressman Luis Gutiérrez. It’s pretty clear to us that Paul Ryan’s position on amnesty for illegal aliens hasn’t changed, and it is the exact opposite of that shared by the conservative – populist coalition that elected Donald Trump and will have to turn out and vote Republican if the GOP is to hang on to its congressional majorities. Those of us who have been around Washington long enough to remember the smirk on Democratic Sen. George Mitchell's face when he left the "negotiation" with Republicans that saw President George H.W. Bush go back on his "read my lips, no new taxes" pledge are waiting for the video of Gutierrez with that same smirk as he leaves the meeting where House Republican "leaders" cave on amnesty. Here is the list of the Republican cosponsors of Rep. Denham’s amnesty resolution. The toll-free Capitol Switchboard is (1-866-220-0044) we urge CHQ readers and friends to call their Representative today to urge them to not to sign on to H.Res. 774 and to oppose any bill that grants amnesty to illegal aliens. If your Representative is on this list, please call him or her and demand that they withdraw their name from this bill at once. Submitted by email_registrat... on Thu, 06/14/2018 - 15:44. The first time I read about Ryan's position on amnesty and immigration, I reflected that he spoke for the National Catholic Council of Bishops (NCCB), who as far as I can determine are progressives. This latest article regarding Ryan on Immigration mentioned the Chamber of Commerce and Business Roundtable as people Ryan is beholden to for his decision but failed to credit the NCCB, an influence I think at least equal in influencing his decision to back amnesty.